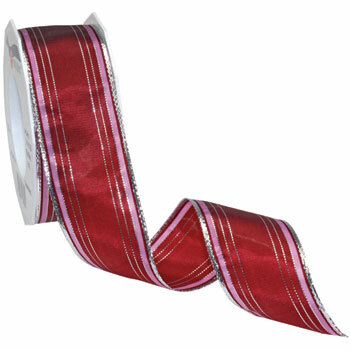 Chamonix ribbon has a metallic line pattern with corresponding colored lines. Not only is this pattern great for holiday items but it can be used throughout the year in all your crafting designs. This style is offered in 2 different widths and 8 color choices.